Travelers are learning that one of the best ways to discover the real Kaua‘i and aloha spirit is to get involved with a VOLUNTOURISM program. Through working with local residents on CULTURAL AND ENVIRONMENTAL PROJECTS, visitors get their hands dirty and their eyes opened. At the forefront of the voluntourism movement is the GRAND HYATT KAUAI’S Enrich Program that offers island travelers an opportunity to enhance their vacation while giving back to the community. Organizations you can lend a hand with include KAUAI HUMANE SOCIETY, NATIONAL TROPICAL BOTANICAL GARDENS, HUI O LAKA IN KOKE‘E, SURFRIDER FOUNDATION and HABITAT FOR HUMANITY. 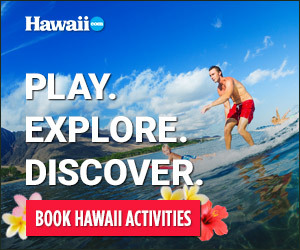 Visit kauai.hyatt.com. SHERATON KAUAI RESORT’S programs offer visitors the opportunity to mix with kama‘aina (locals) and aid Kaua‘i chapters of national and local organizations such as the SIERRA CLUB, the KAUAI MONK SEAL WATCH, SAVE KAUAI and National Tropical Botanical Garden. Volunteers see and experience more of the Garden Isle while participating in BEACH AND REEF CLEANUPS, MONK SEAL WATCH COUNTS and more. For more information, visit sheraton-kauai.com. Didn’t find what you were looking for? Consult your concierge, or contact organizations directly to inquire about current projects.